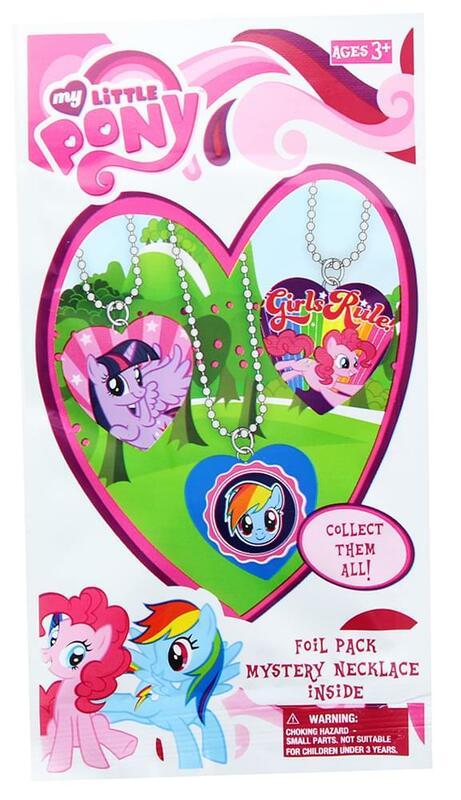 Wear your love of My Little Pony with one of these stylish mystery necklaces! Each foil pack contains one (1) random necklace design. Which one will you get? Collect them all!